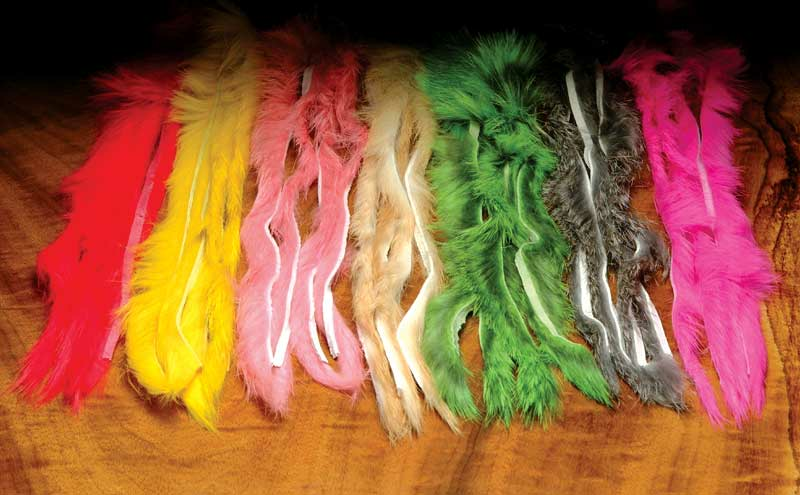 Hareline Rabbit Strips Are Cut From Grade A Hides! These Are Considered To Be The Highest Quality Strips On The Market. These are the work-horses of the rabbit strip line. The 1/8 inch strip and crosscut product serves well for the majority of salmon and steelhead flies. 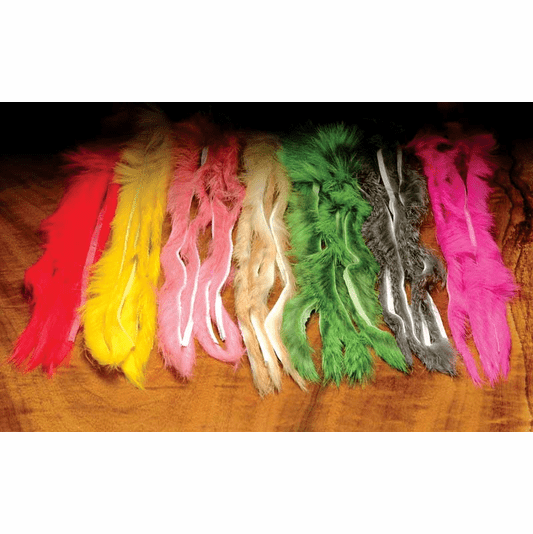 They are perfectly suited to bass and saltwater patterns in the size #6-2 range also. These make modest sized Zonkers, Double Bunnies, egg-sucking leeches, lake leeches, and bull trout dazzlers.